Twin Peaks & Kiss Toy Fair Gallery from Bif Bang Pow! Bet you never thought you’d see Kiss and Twin Peaks in the same article, but thanks to the folks at Bif Bang Pow! we have a gallery of new products from both David Lynch’s TV franchise and the horror glam rock band. Check out our gallery below for official stills and photos we took directly at this past weekend’s New York Toy Fair! 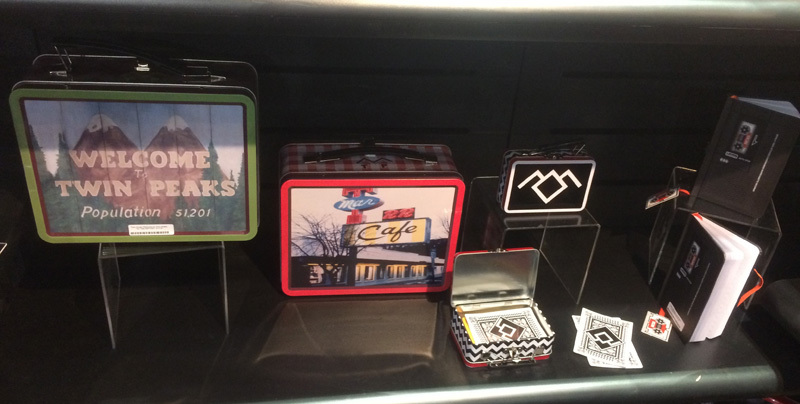 Bif Bang Pow!, merchandiser of first-rate collectible merchandise, announced its plans to create a unique line of consumer products that celebrate the return of the award-winning television series Twin Peaks on Showtime. Click here to pre-order the new Twin Peaks items from Bif Bang Pow! You don’t need to choose a side of this coin! With the Bif Bang Pow! Kiss Unmasked 3 3/4-Inch Action Figures Series 3 Set all four members of the legendary Kiss band can be yours – now available for pre-order. 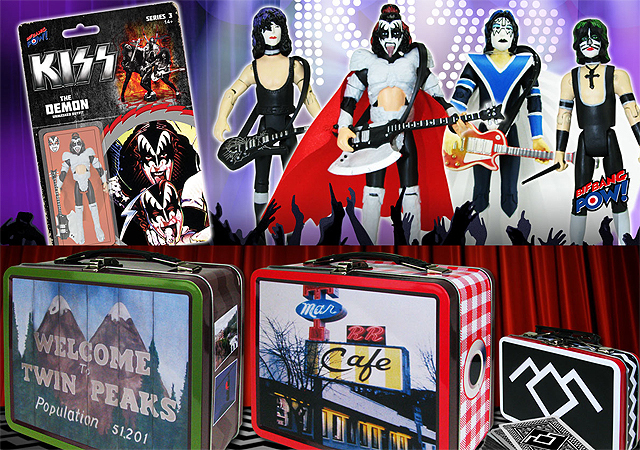 Click here to pre-order the new Kiss items from Bif Bang Pow!